Today I’m getting back into the swing of things by linking up to You Capture over at I Should Be Folding Laundry. This week’s theme is Things You Love. That’s super easy! So jump on over to check out the weekly challenge. She always posts the next week’s challenge so you can start getting your pictures this week. 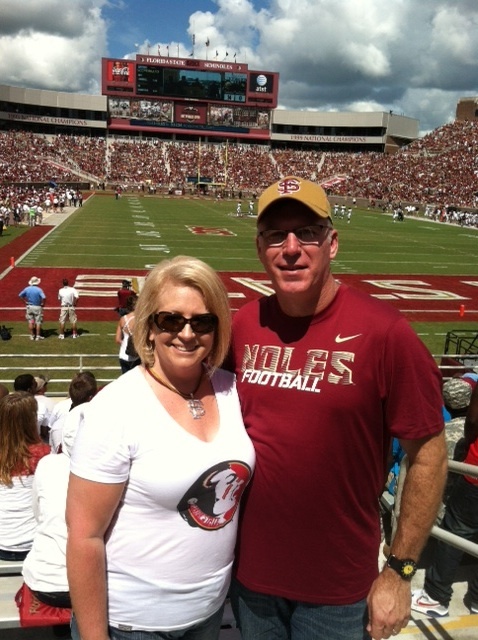 This pictures shows two things that I love – my honey, Ron, and my FSU Seminoles!!! 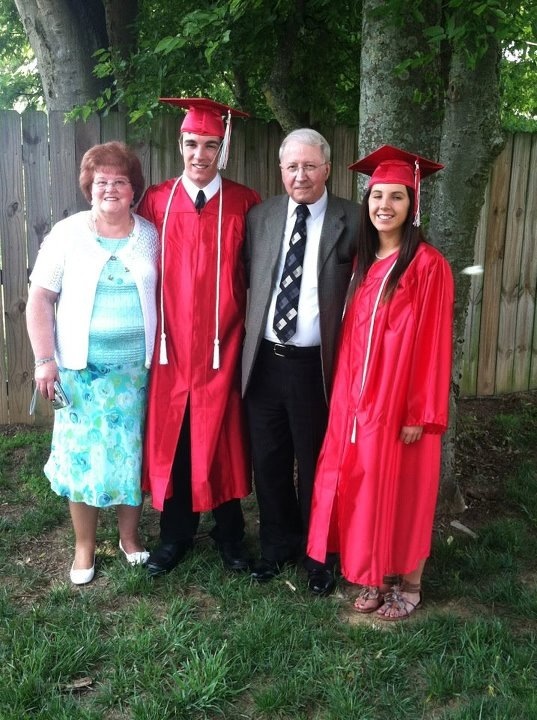 And this one also has two of my faves – my kids and my parents! 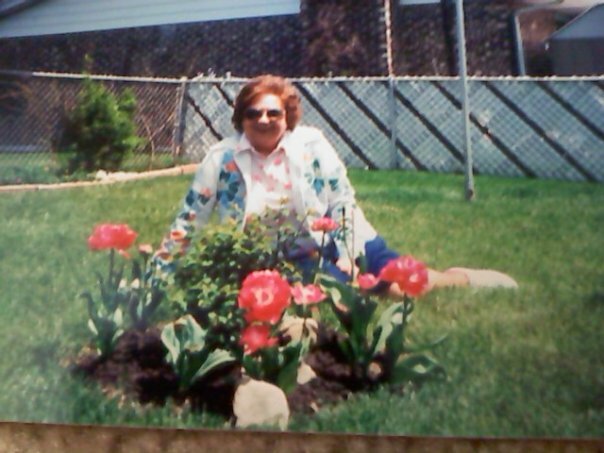 This is my Mamaw with what she loved, flowers! I’m pretty sure my Mamaw hung the moon and lit the sun every morning. 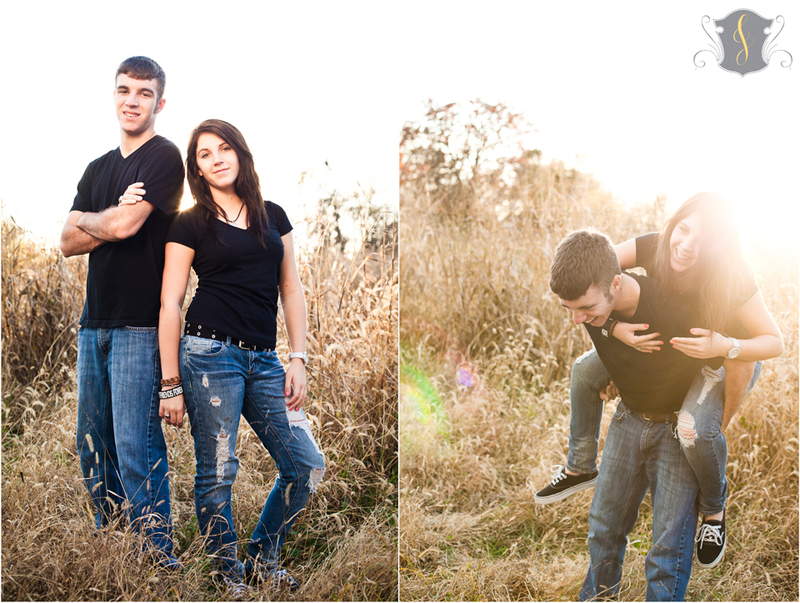 My gorgeous children having fun during their senior pictures! I love all of their senior pictures and could fill up pages and pages and pages of this blog full of them. But these shots are just in my top 3 favorites. 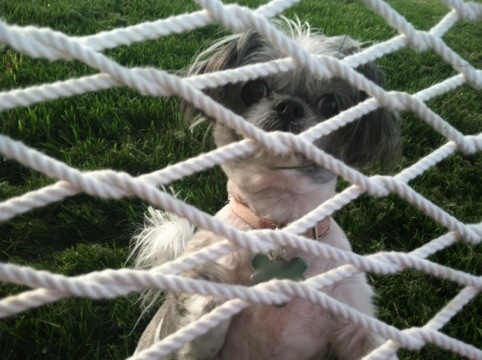 And last but not least I love this little Shih-Tzu named Faith! She puts a smile on our faces every day. That’s just a quick collection of things I love. Next week’s theme for You Capture is Shapes. That will be fun! I’ll start snapping pictures today! What Is It About The Fall? When I stop to think about what things I love about Fall I come up with all of the same things everyone always says like the cooler weather, the changing colors, the bonfires, the fall holidays. But you know, in trying to come up with something different to say, I was sitting here thinking about what specifically I am most looking forward to right now about THIS particular upcoming autumn and why. It isn’t really all that different but the reasons do come from a different place. Since I don’t really have any idea where my writing is gonna end up when my fingers start typing who knows what we’ll find at the end of this post. So, let’s explore the recesses of my brain and see what we end up with. At the beginning of the summer I decided I was gonna lose weight. So I set out for the umpteenth time with the idea to start walking, changing the way I eat and by “whenever” there would be less of me to love. I’m easy going like that. I don’t really set specific goals with dates and numbers. I just kind of have a general idea of what I wanna do and meander my way in that general direction and when I get there I get there. It worked quite well for about 6 weeks. I had a good system going and was walking at least a mile a day five days a week. The middle of July we went to our annual denomination’s national convention where I got out of the habit of walking. Since then I’ve probably walked half a dozen times. My weight loss has continued but, understandably, at a much slower pace. My eating habits have stayed about the same. But I have started using the line “when the weather cools off I will start walking again”. Now the first half of the summer the heat wasn’t a factor. I always walk in the morning usually right before sunrise. So the heat of the day really isn’t a legitimate excuse for me. But somehow I have come to find it a convenient one the last half of the summer. So, this year I am looking forward to the cooler weather to see if I will actually use it to motivate me or if I will use it as some other time of pathetic excuse to keep me on the couch. Do you ever just get sick of your own excuses? Oh my word! I sure do! The changing colors is another thing I dearly love about Fall. This year our kids are in college. And they happen to be in colleges in the hills of Eastern Tennessee. I look forward to going to visit them on their campuses for games to drive through the glorious coloring book of God’s country. We usually spend Thanksgiving over in that park of the state in a state park. But Thanksgiving is always a little too late in the year for the color change. I want to go over for a weekend in Cookeville and another weekend in Chattanooga in October at the height of the season. I could just stand in the middle of the woods at look out over the glory of God’s creation and marvel at his handiwork. What a creator! What an artist! What a mighty God we serve! He made himself known through the glory of his creation from the beginning of time! This past weekend I got to do something I’ve been wanting to do for about 23 years. I didn’t even know I wanted to do this until my husband moved me to Tallahassee Florida, his hometown, in 1989. I discovered a little something called COLLEGE FOOTBALL and fell in love when the Florida State University Seminole Football team bug bit me. We lived in Tallahassee for a LONG time. I constantly cheered on my NOLES through the glorious 90s, a GREAT decade of Seminole football. We lived on campus at one time one block away from the football stadium. One job I had was in the drive thru of a bank facing the football stadium. So I stared at it every single day. Another job I had was one road over from Stadium Dr. I could hear the marching band practice every day. Yet not one time did I ever step foot into Doak Campbell Stadium – until this past Saturday – 15 years after moving away from Tallahassee. It was boiling hot but I had the time of my life. It was definitely an opportunity to check off an item on my bucket list. For those of you that have been reading here regularly you may have noticed that this is our first trip of our Empty Nest Adventures. It was a great start. I came home floating on a cloud. I’m definitely gonna like this Empty Nest thing. Most definitely!! No doubt about it! It’ll take a while before that smile comes off my face! That is a happy Seminole!! If you read my blog somewhat regularly you know that one of my 3 in 30 goals for June is to declutter. The decluttering is just about done actually. Michael and I will be loading up my vehicle this weekend with all the stuff we are shedding around here and heading North with it all. We are going to Ohio next week and Mom and I are going to have a garage sale. Why yes – I have lost my mind! Thank you for asking. When we moved about 5 years ago we had the biggest garage sale of our lives. It just so happens that we also sold our house at that sale but I don’t count that in the total profits. Without selling the house we made $700 and STILL had to haul away ONE TON of junk to the county dump. I know it was a ton because you have to pay by weight. So from that day till now I have sworn off all yard sales. TOO MUCH WORK! SInce that time I have just been donating everything. I never wanted to be in that position again to be so overrun with stuff. So we have kept the clutter to a minimum around here. Donating all this stuff was exactly what I had in mind to do. Then a couple of things came up. Michael’s car A/C went out. That will cost $600 to fix. We are requiring him to pay a portion of it. He doesn’t have a job and doesn’t have time to get one right now (too busy). And there is a lot of things I want to do to get my Advocare business up and rolling but need money for that. So, I figured we were sitting on a gold mine of clutter. My mom is a professional garage saler – going to them and having them. Michael and I were already planning to go up there this coming week. So, there you have it – we are lugging all our stuff to another state and selling it. Just so you know I will NOT be lugging any of it back to this house. What doesn’t sell up there will go to charity up there. So I currently have boxes and garbage bags sitting in piles all over the house that somehow is eventually gonna have to fit in my Santa Fe. The thing about me and clutter though is that it depresses me. So while I know it is all going to be gone in a week right now it is starting to drag me down. I also get depressed when some big event is coming up – that is really weird, I know. Not only is the garage sale next week IN OHIO but Ron will not be with us. Not only those things but Lauren also leaves Sunday for a two week leadership program at JH Ranch in Northern California. So, while I’m working at keeping myself calm I can feel some of the strings breaking inside. Am I the only one who is like this? Please tell me I’m not. I borrowed this from @charleenebrewer - it’s too good not to share with all of you!! My name is Pam. I am a very happily married 45 year old SAHM. My kids are 17 & 18 and are both freshmen in college. I am an AdvoCare Distributor whose life has been changed by the use of the products that have given me my life back. We have had quite a family journey. All steps have led us to the point we are at now in our lives. I'm excited to see where God has in mind for us to go from here. 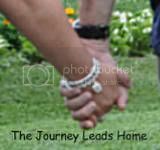 This blog is about the journey of my life and what the future holds for the 4 of us. 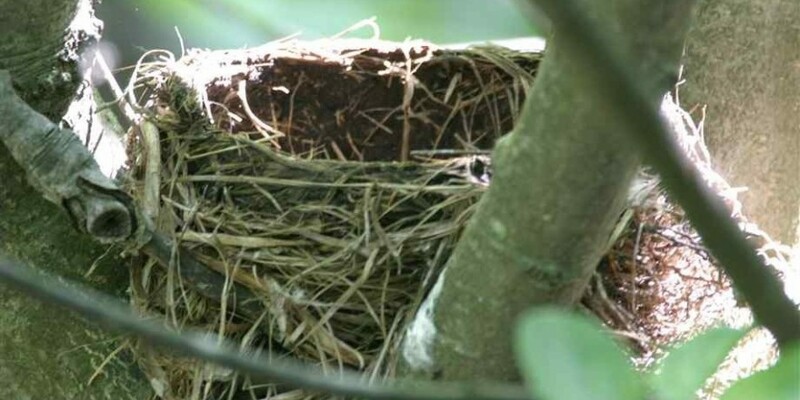 This journey has now led my husband and I to an empty nest, which I will spend the rest of my life trying to figure out how to manuver.